Centre-right candidate Marcelo Rebelo de Sousa won Portugal’s presidential election on Sunday, an outcome that should help maintain political balance after a dramatic swing to the left in October’s parliamentary ballot. In his victory speech, Social Democrat Rebelo de Sousa, 67, said he will work to promote consensus and repair divisions created in the aftermath of the previous election when the left ousted a centre-right administration that imposed tough austerity under an international bailout in 2011-14. 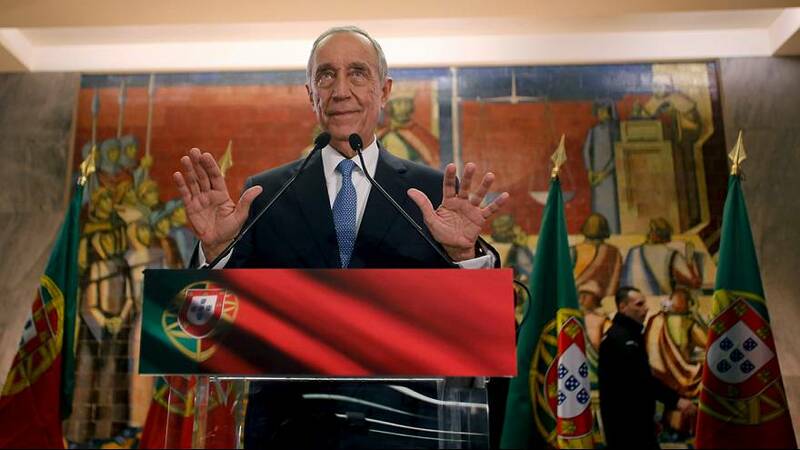 Portugal’s president is a largely ceremonial figure, but he plays an important role at times of political uncertainty and has the power to dissolve parliament and fire the prime minister. Portugal is likely to need all consensus possible as a shaky government of moderate centre-left Socialists, dependent on far left parties for support in parliament, tries to reconcile its election pledges to end economic austerity with budget deficit cuts promised to the European Union. “This election ends a very long election process… that unnerved the country and divided a society already hurt by years of crisis. It is time to turn the page and de-traumatise, start and economic, social and political pacification,” Rebelo de Sousa said at the Lisbon University’s Law Faculty where he teaches. With nearly all votes counted, preliminary results showed Rebelo de Sousa, a former journalist, winning 52 percent of the vote – enough to avoid a runoff.